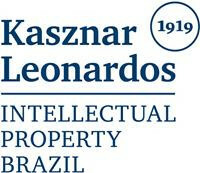 Rafael Lacaz Amaral is a senior partner at Kasznar Leonardos Intellectual Property. 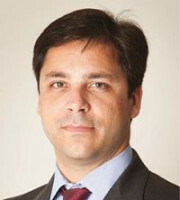 He is an attorney at law and has been registered with the Brazilian Bar Association since 2000. Mr Lacaz Amaral’s practice areas include trademarks, domain names, anti-counterfeiting, copyrights, digital law, personal information, advertising, trade secrets and protection of confidential information, unfair competition, regulatory law in the health industry, litigation and dispute resolution. Mr Lacaz Amaral graduated from the law school at the Federal University of Rio de Janeiro in 1999, and undertook his postgraduate studies in intellectual property at the State University of Rio de Janeiro in 2001 and civil procedural law at Candido Mendes University in 2008. Mr Lacaz Amaral was chair of the International Trademark Association (INTA) Subcommittee of Non-traditional Trademarks (2008-2013); co-chair of the Brazilian Association of Intellectual Property (ABPI) Enforcement Committee (2008-2013); a member of the INTA Legislation and Regulation Committee (2018-2019); a member of the ABPI board (since 2008); a member of the board of the Brazilian Association of Industrial Property Agents (ABAPI) (since 2016); arbiter in domain name disputes at the ABPI Arbitration and Mediation Centre; guest professor at the Pontifical Catholic University of Rio de Janeiro in intellectual property for the post-graduation course (since 2007); and guest professor at the Getulio Vargas Foundation in intellectual property for varied courses (since 2009).